James King & The Midnight Hours are a five-piece classic rock trip, served up retro style. The group features a collection of multi-talented Toronto-based artists with 80 years of combined musical experience: Gaby Grice on keys and vocals, Richard Lam on lead guitar, Mike Lee on drums, Daniel Williston on bass and vocals, and James King as songwriter, front man and lead vocalist. As newly-minted regulars on the open mic scene, the band was invited to perform at the Amsterdam Bicycle Club on a Saturday night. The wild success of this first gig quickly led to regular Saturday night performances, and a residency – not to mention a growing dedicated following. In the spring of 2018, the band made the National Top 100 in the CBC Searchlight Competition out of 2,072 artists from across Canada. 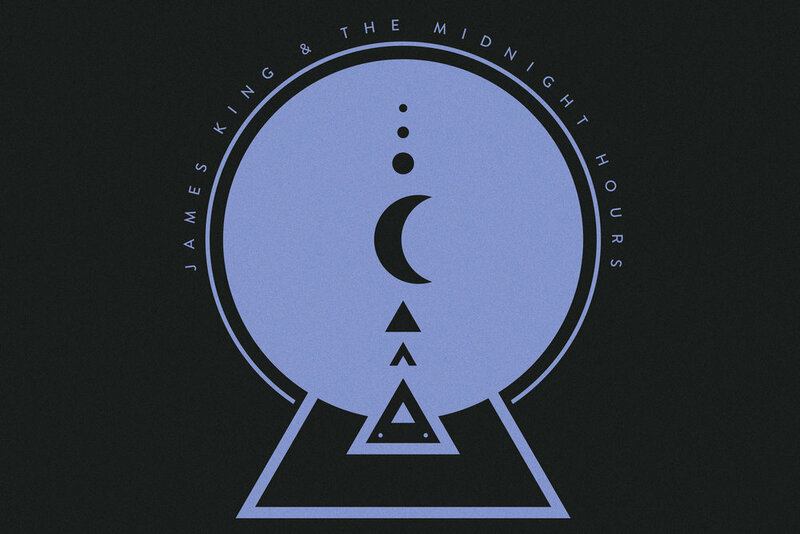 James King & The Midnight Hours continue to perform in venues across the city. Their style ranges from three-part harmony-drenched rock to wild psychedelic ragers. With King's heartfelt, and often romantic, songs at the core, the band never fails to show their dedication to creating honest and emotional music.